Can you go back to wearing a “normal” watch? After 4-5 months of owning an apple watch – what a splendid addiction, it has changed my lifestyle and how I use a “watch”, I’m not sure if I can ever go back to a “non-smart” watch. In my usage, I found the Apple Watch allows me to catch and prioritize important/urgent emails or texts to those very last minute changes to my originally planned daily events especially things like kids doctor’s appointment or swim team practice changes, etc. Also, I can glance at my inbox or texts while I’m exercise or teaching in class without carrying a phone on me or having to dig through my phone from somewhere inside my purse or the back pocket of my pants or while driving. Now, I can “loudly and clearly” tell my students not to surf the web or post on Facebook or Twitter while I’m in class because I don’t have to stare at my phone for time or other things. LOL!!! Another fantastic feature (to me) is taking phone calls when the phone is not on me particularly when my hands are busy with cooking. The other day, my dear 70+ year old mother called me while I’m busy prepping dinner for her precious grandchildren (LOL!!!). Before the Apple Watch, I often times either missed my parent’s calls (they like to travel), or I must stop what I am doing to answer the call which causes us to be late for kids swim practice or dinnertime. If you are a parent then you will understand the issues with hungry children. Of course, a wireless bluetooth headphone would be nicer so no one can over hear the conversation. ☺ Although switching between phone and watch is seamless and effortless, even just grabbing the phone will automatically transfer the call. Another great bonus is the daily activities app. It gives me awareness of my daily activities and sort of forces me to pay attention my diet, exercise, heart rate, and calories. 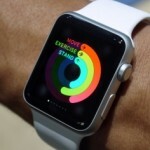 ☺ Of course Nike Fit can do that as well and cheaper but Apple Watch has a more robust selection of health apps to chose from which allows the best fit for individual users and how to maximize the data to help users reach their health goals and leads to a better, healthier life. I sincerely doubt any other fitness band can so easily, smoothly transfer data from the fitness device to a smart phone whether it be iOS or Android as the Apple Watch can to iOS. 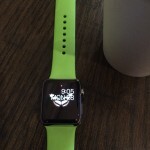 If there is any issue that I have with the watch – BATTERY. I’m an active user so my batter dies sooner than I would like. ☹ The size of watch also is a factor in battery life as well. 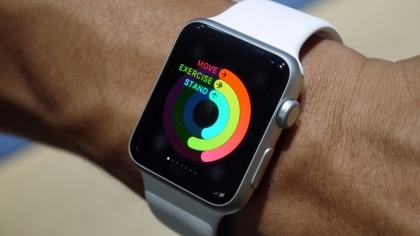 I have a 38mm with lots of wrist movements, playing with sketches, animated emoji and picking up phone calls. And, not to mention if my kids want to sketch with their uncle and daddy. So if you are having similar user behavior like myself; you will be better off with the bigger size of watch – battery lasts longer. 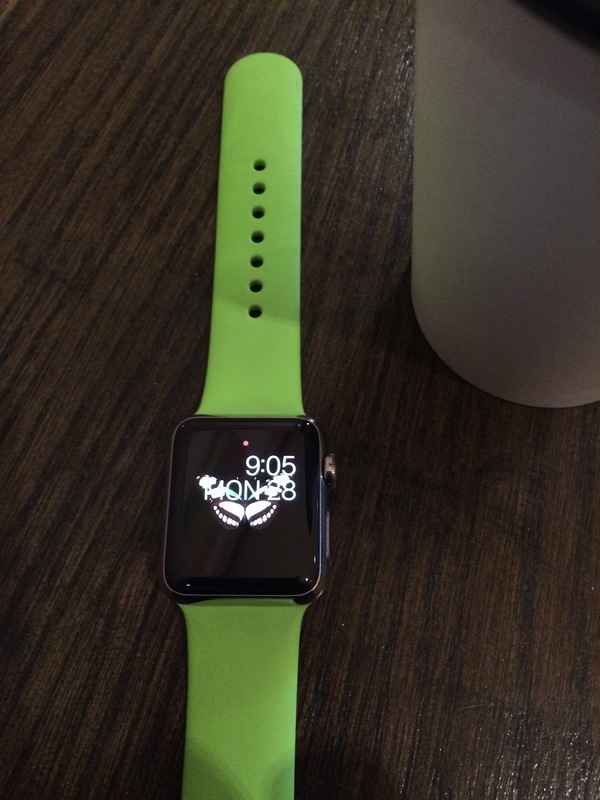 This entry was posted in Life Style and tagged Apple Watch, Fitness Band, Life Style, Smart Watch on September 25, 2015 by tracy.